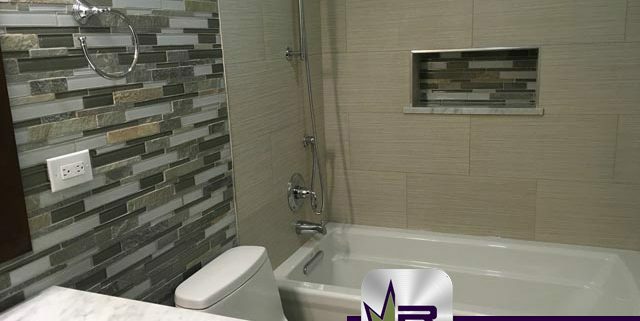 This hallway bathroom remodel began with the removal of any necessary existing plumbing and electrical, cabinetry, fixtures, tile from floors and walls, entire tub, wall boards down to studs, and any loose concrete of the sub floor. 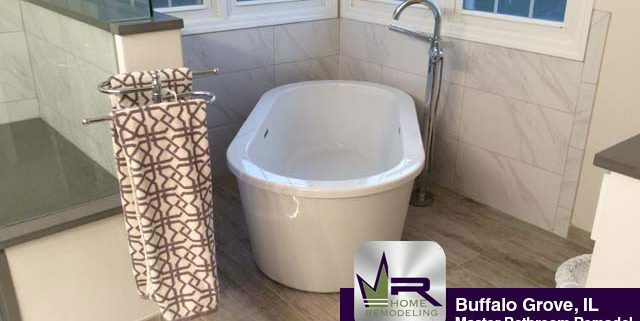 The owners of this lovely home were interested in remodeling their master bathroom. The goal of this remodel was to change the overall color scheme while changing the atmosphere of the space. The layout was also to be changed with the movement of the shower and the tub. 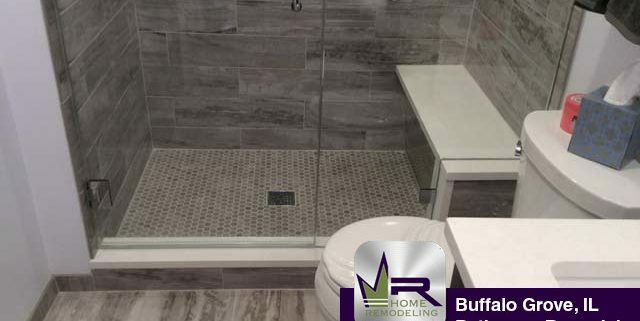 The residents of this lovely home were ready to make a change in their master bathroom. They desired a change from the bland and outdated appearance to a more contemporary style.